In 1940, a 25-year-old man from Switzerland, Brother Roger, came to the small village of Taizé, France, with the dream of starting an ecumenical community for contemplation and for the reconciliation of Christians of all faiths. This community continues today, with the brothers from various denominations greeting thousands of people – especially young adults – from all parts of the world who journey to the community as part of their search for trust and communication in their lives. An important part of the Taizé experience is the singing of simple meditative songs that were developed for the prayer service. The prayer is flexible and has no real beginning or end. Songs are repeated over and over again to help us enter into the contemplation of the presence of God. The simple phrases are easily memorized so books are rarely needed. In the music and prayer of Taizé, different languages are used to reflect both the international and ecumenical nature of the community. It is appropriate, whenever possible, that different languages be heard in the prayer as a reminder that we are all part of one, universal Church of Christ, which is for all nations and peoples, and exists in all times and ages. 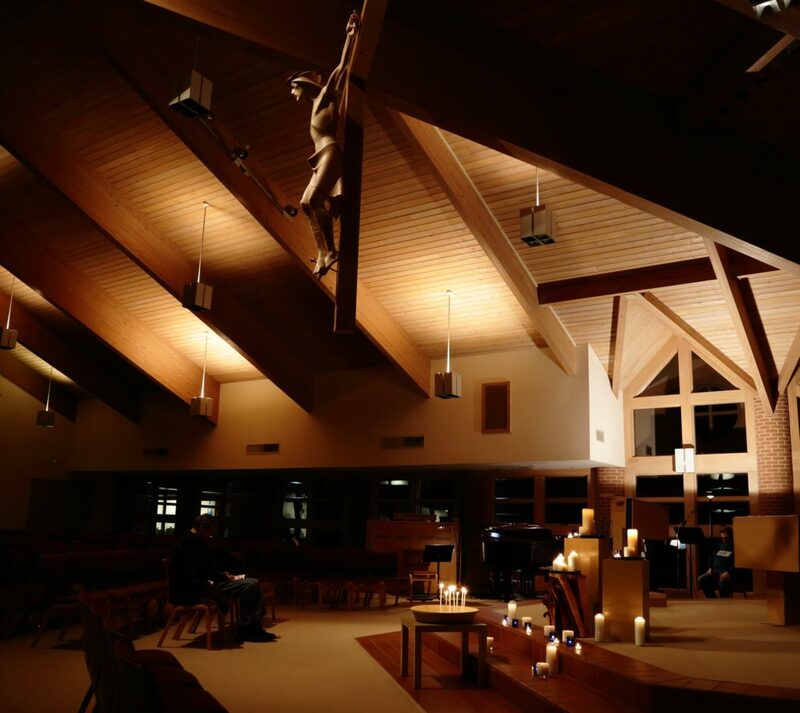 At Holy Martyrs, we offer monthly Taizé prayer services on the first Thursday of each month except during Lent or on holy days. For more information, please contact Janet Payton by email or by phone at 330.722.6633.